The Russian-controlled Committee for State Registration and Cadastre of Crimea has registered ownership of 32 real estate objects of the Khan's Palace in Bakhchisaray in the occupied peninsula, according to RIA Krym, referring to the committee's press service. "Thus, the museum has been completely transferred to republican ownership," RIA Krym reported. Among the said palace's facilities of world heritage are the main building, as well as a harem, stables, kitchen and suite buildings, the Falcon Tower, the Small Khan Mosque, 11 non-residential buildings, and three storage rooms. 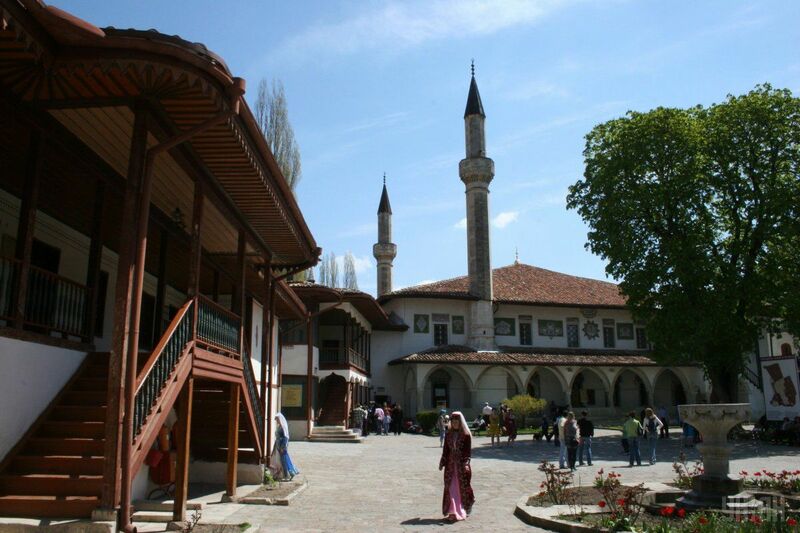 The Khan's Palace in Bakhchisaray is the most famous museum associated with the history of the Crimean Tatars, the territory of the summer residence of the Crimean khans of the Girays. The museum complex includes a palace, a harem building, a khan's cemetery, and a mosque. Read alsoMoscow-based company sets up illegal call centers in Ukraine to service customers from Russia, CrimeaThe Khan's Palace is a nominee for the UNESCO World Heritage List along with the Genoese fortress in Sudak, the Crimean Astrophysical Observatory, Mangup-Kale (a historic fortress in Crimea), Eski-Kermen (a medieval cave town), and Chufut-Kale (a medieval city-fortress in the Crimean Mountains), according to RFE/RL's Krym-Realii media project. Assistant Director-General of UNESCO Eric Falt said on September 21 that he had reached the final stage of consultations on elaborating the mechanism for direct monitoring of the situation in Crimea in the areas of the organization's competence. In February 2017, the National Commission of Ukraine for UNESCO called on the partner countries to send a monitoring mission to the annexed Crimea.